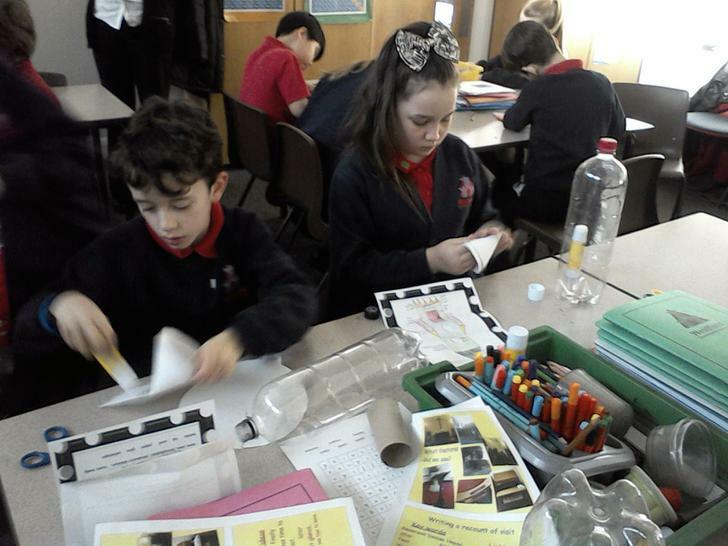 Maths – This week we continued to work on converting units of measurement. 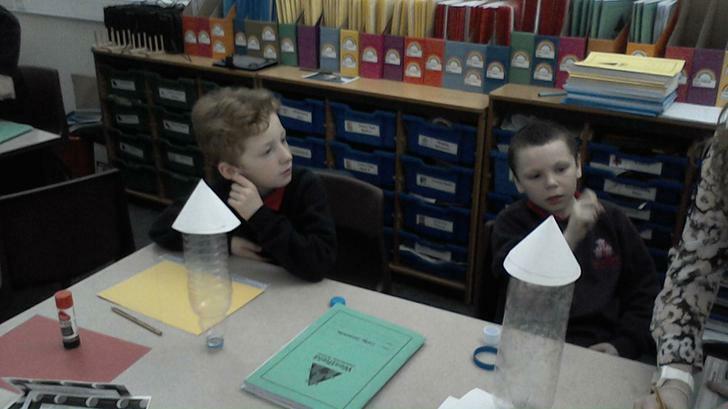 The children can confidently convert ml to litres, mm to cm, cm to metres, metres to km and grams to kg! 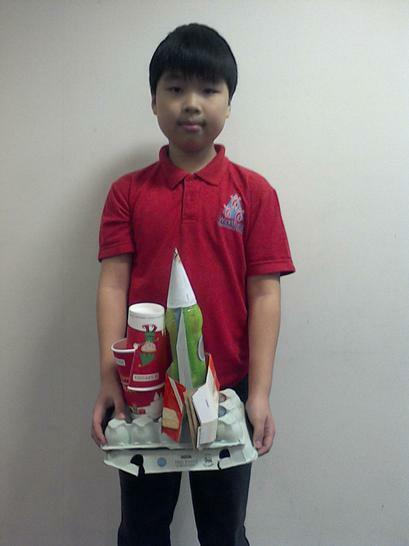 How clever is that? 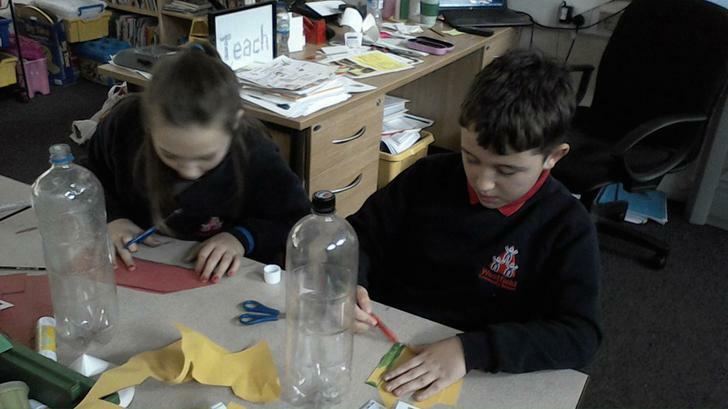 Later on in the week, the children looked at word problems involving units of measurement. 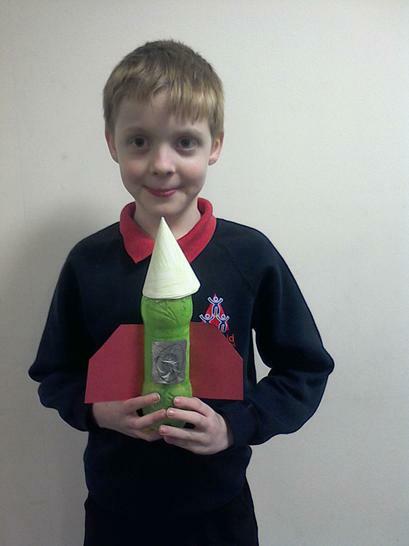 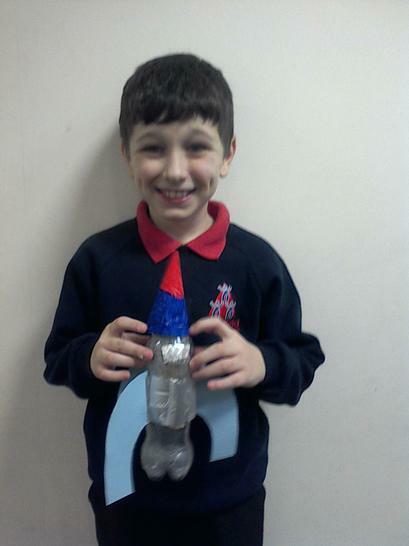 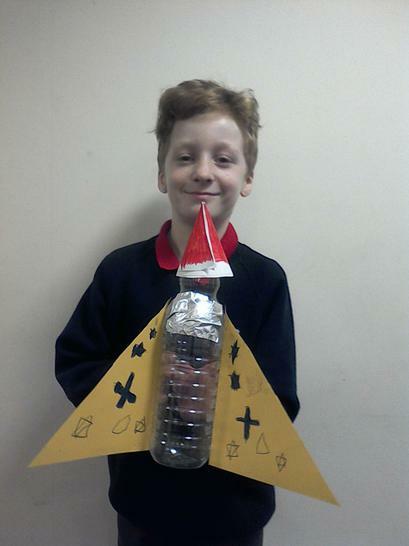 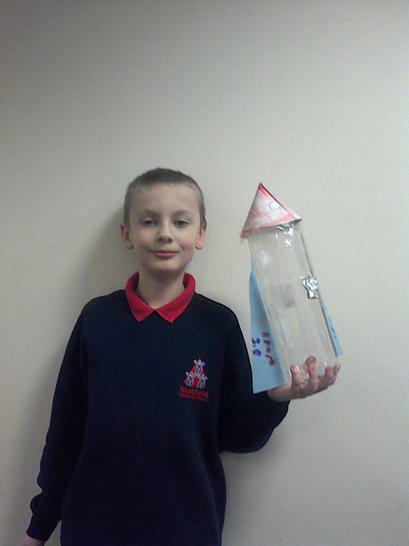 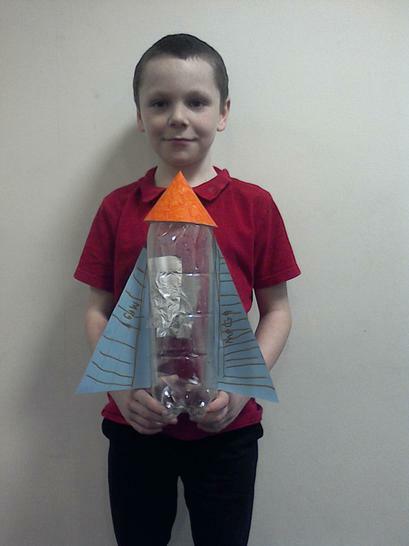 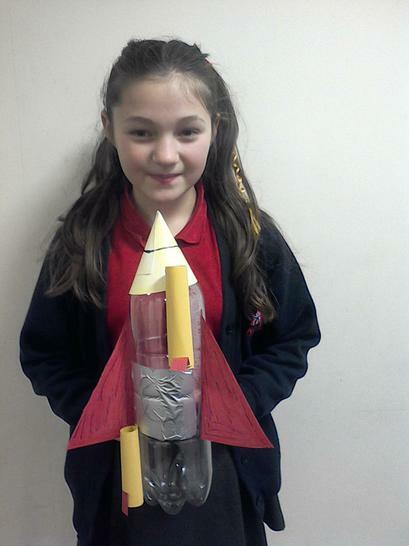 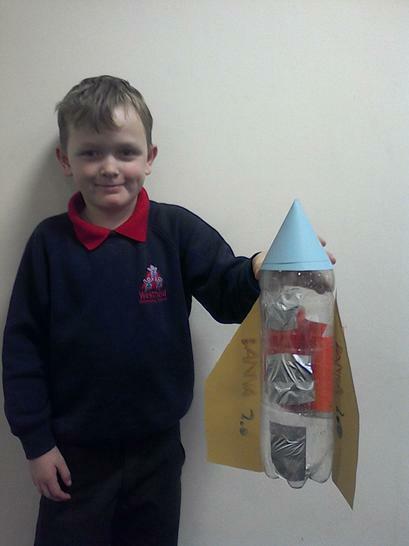 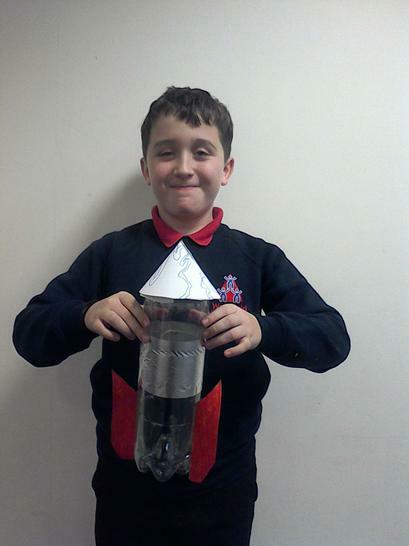 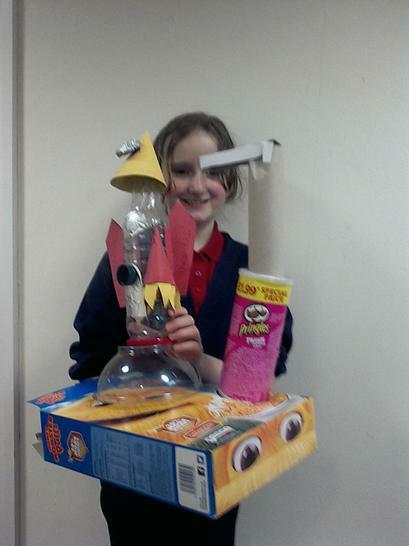 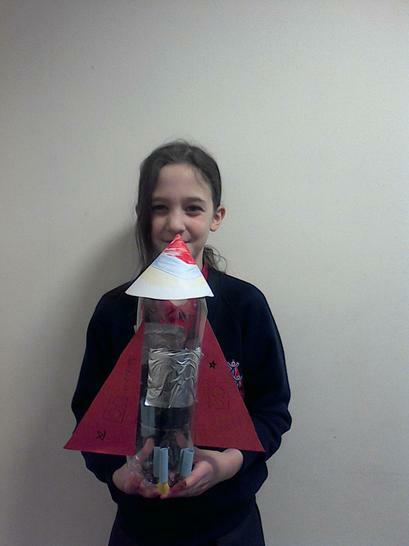 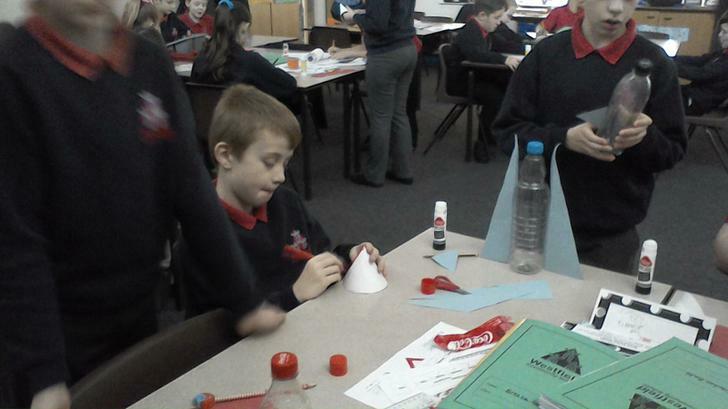 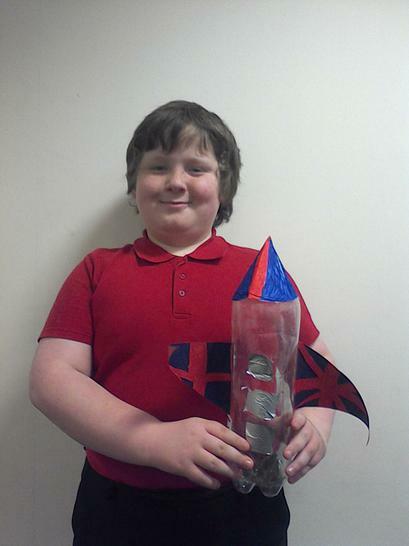 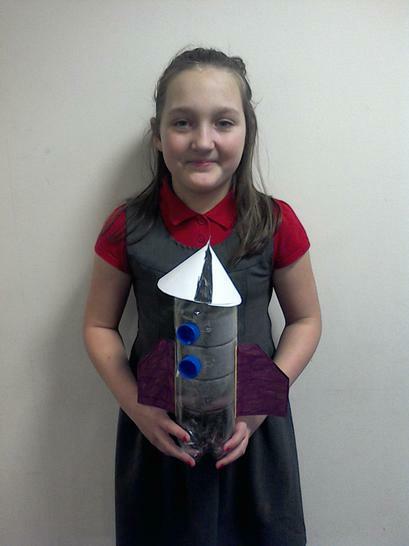 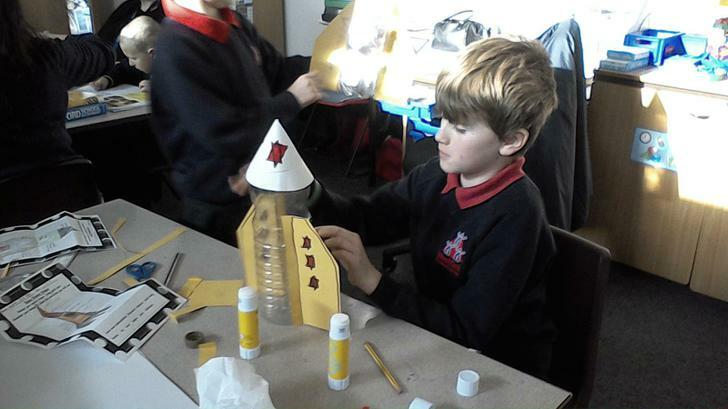 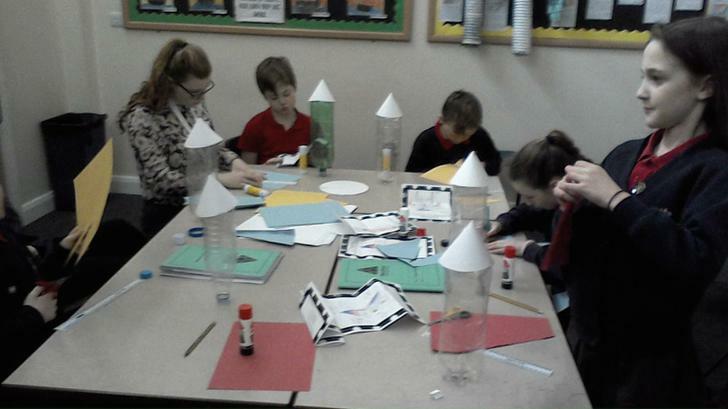 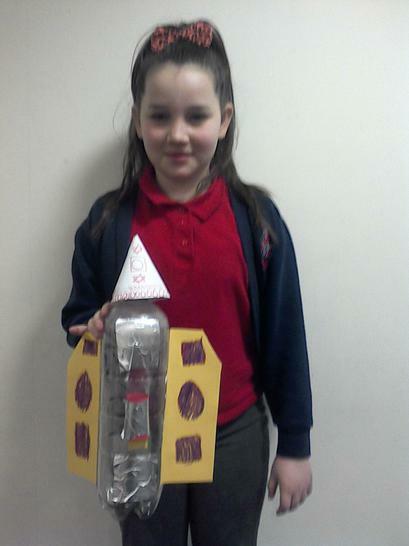 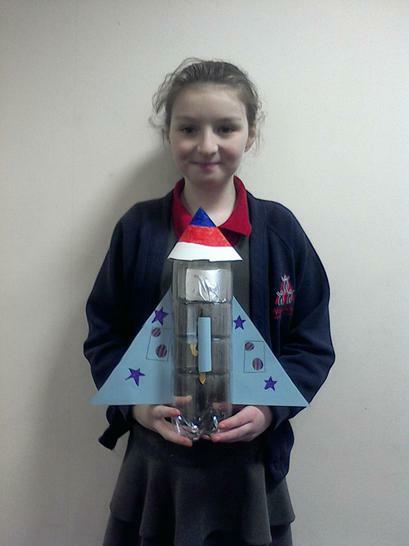 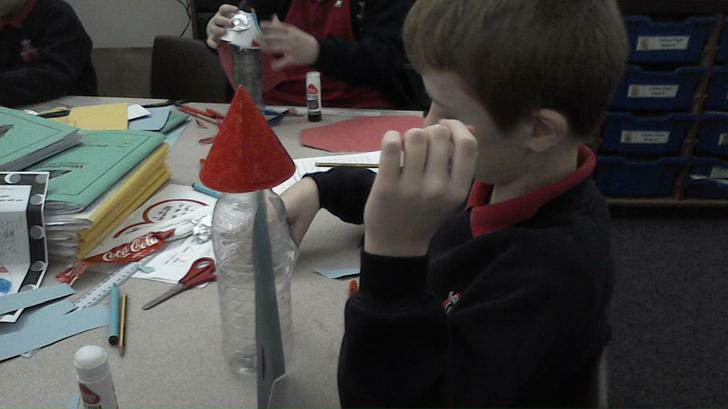 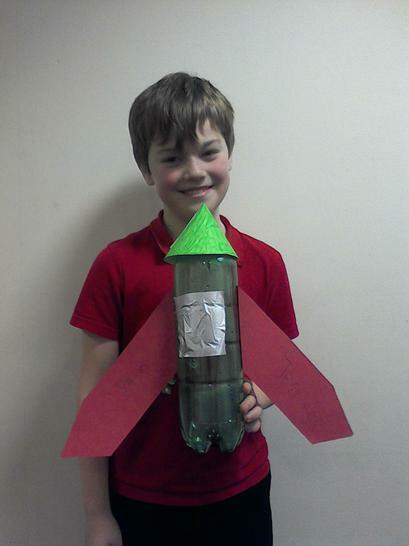 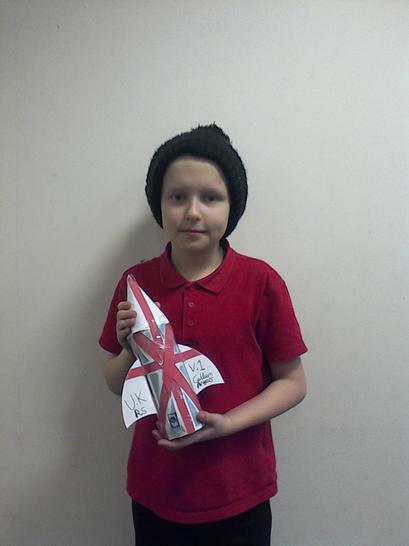 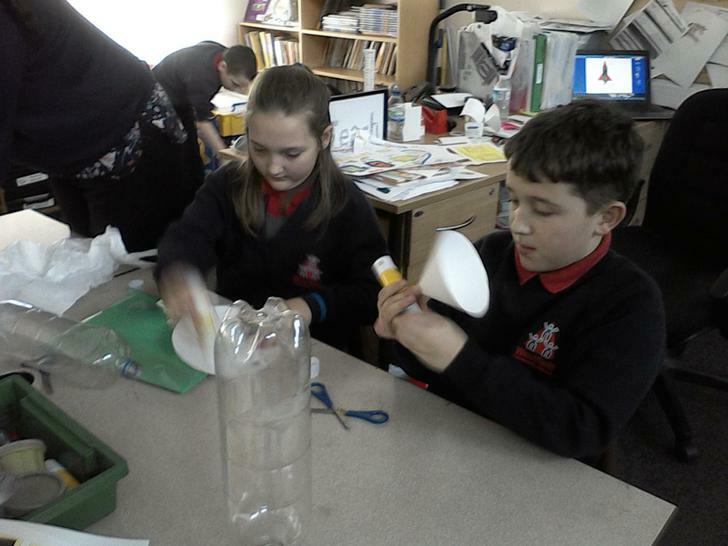 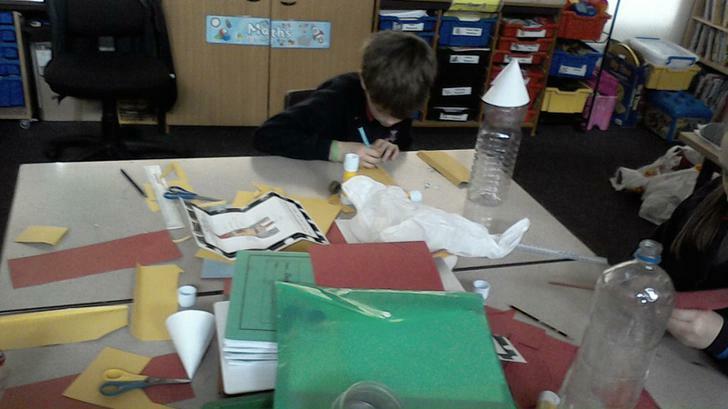 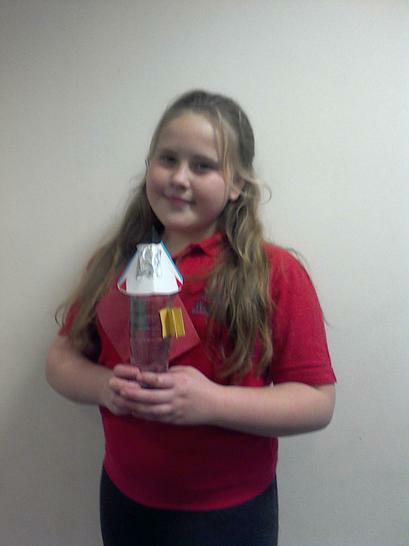 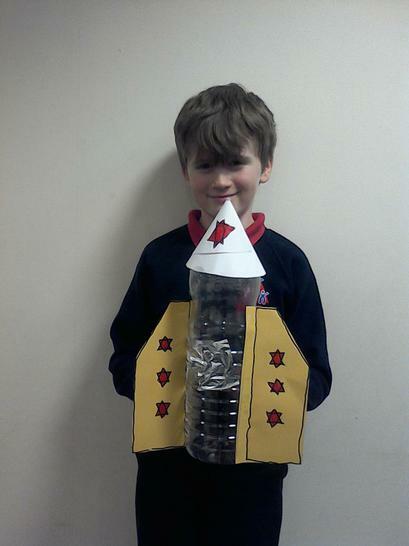 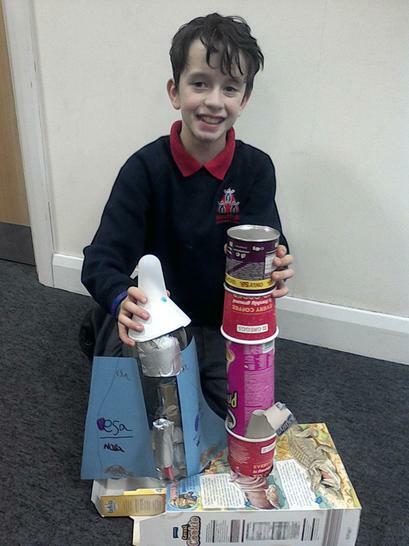 Topic – The children have designed, made and evaluated their own model rockets. 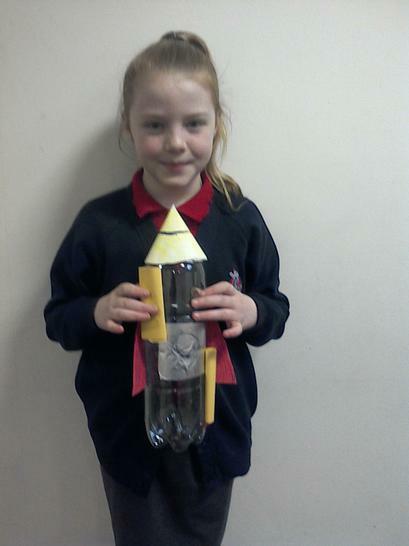 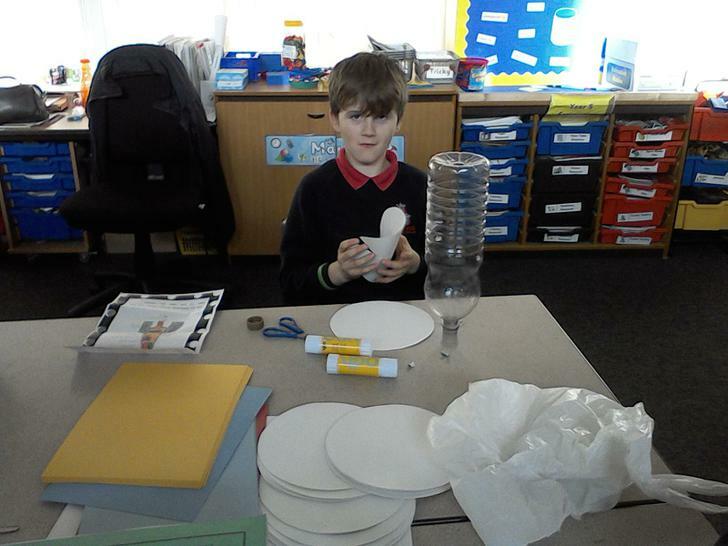 They were challenged to design a rocket suitable for space tourists, like the Virgin Galactica. 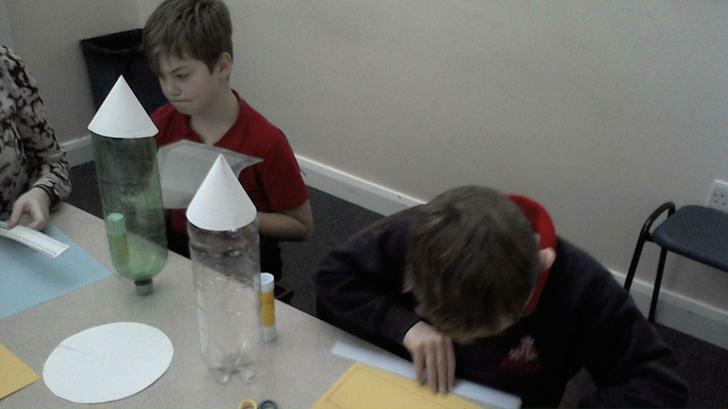 Their rocket had the added feature of a detachable nose cone! 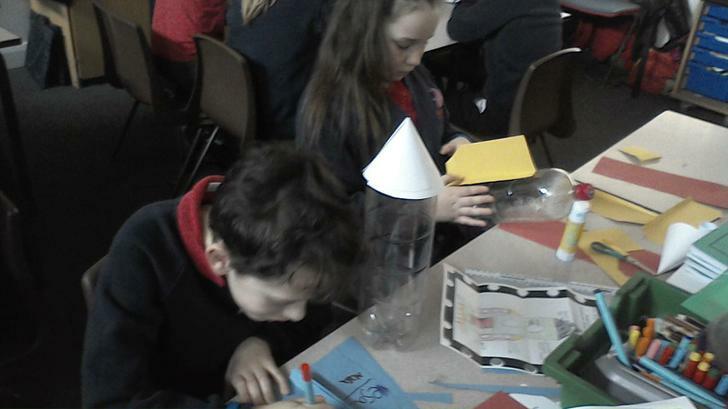 They have used bottles, yoghurt pots, as well as, empty egg boxes, cardboard and paper. 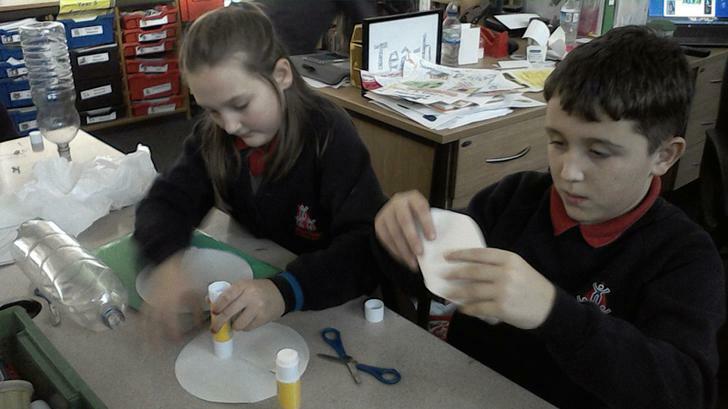 They worked really well and we had a fantastic time making them. 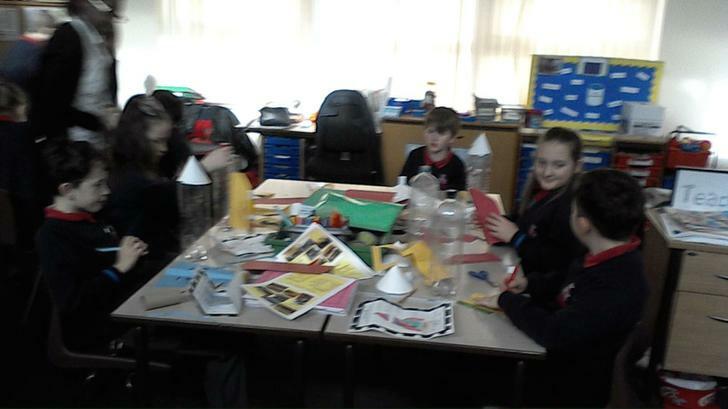 Here are the children with their finished models. 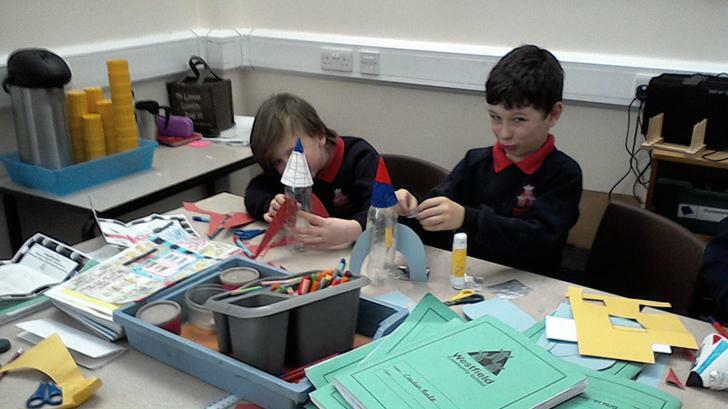 We're sure you'll agree that they look fantastic!.. 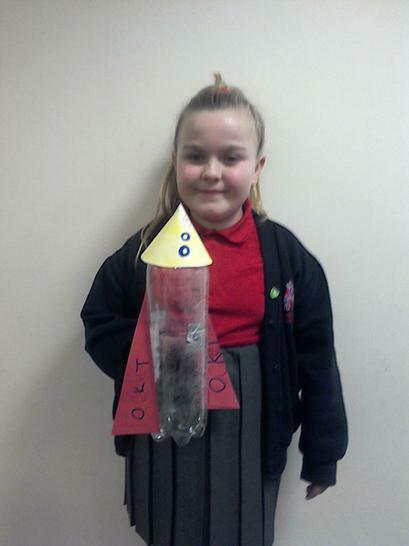 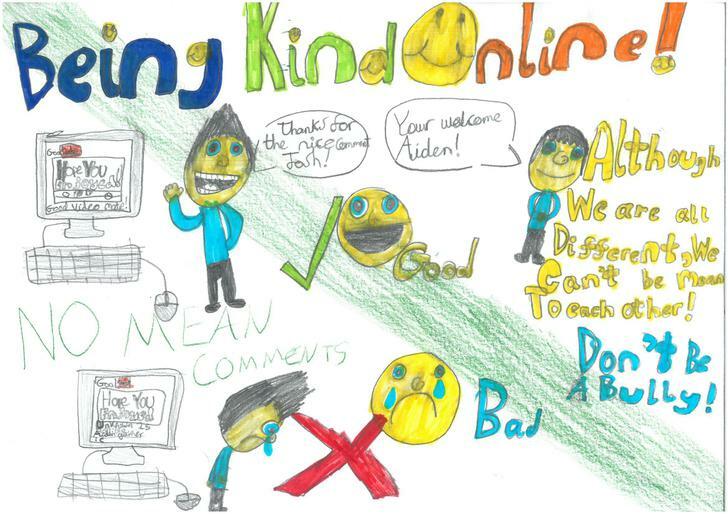 Science – As we have reached the end of our topic about Earth and Space, the children have completed an assessment to show us how much knowledge they have gained. 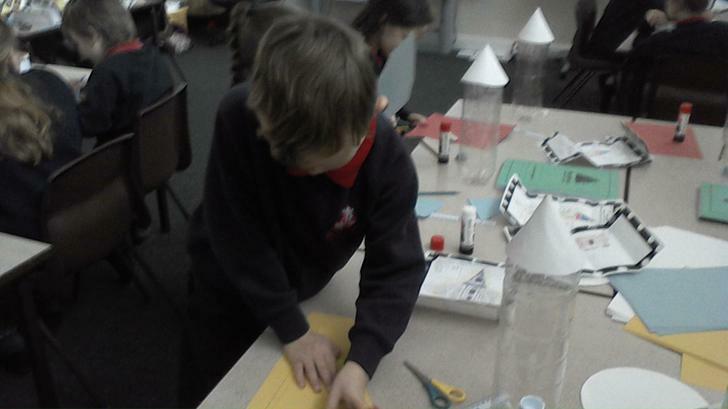 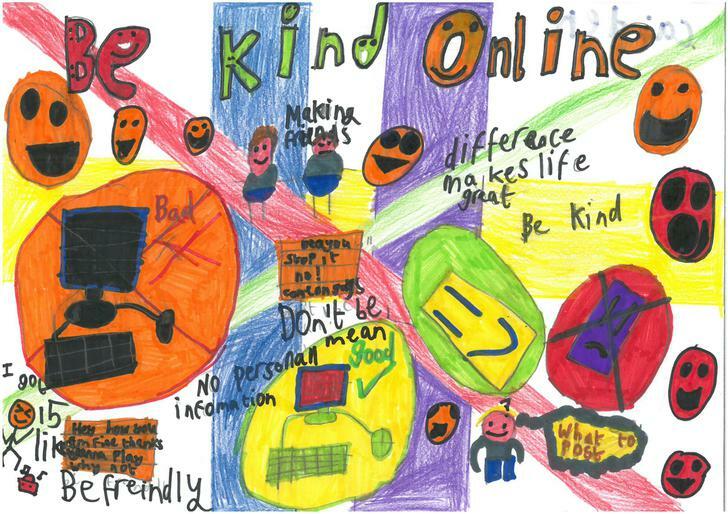 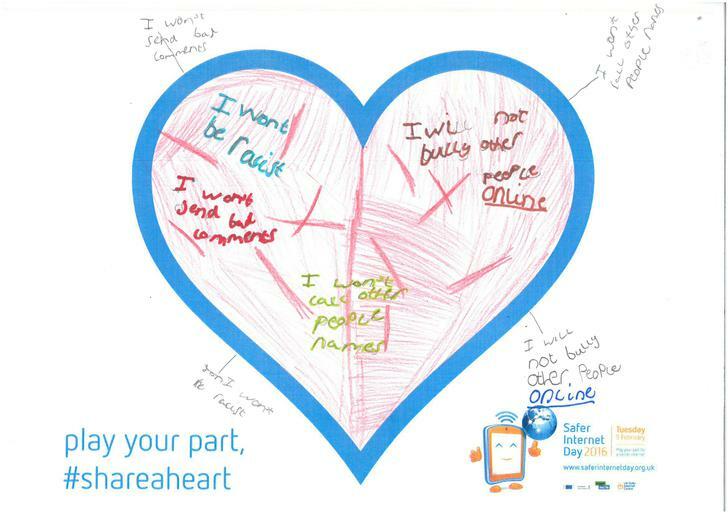 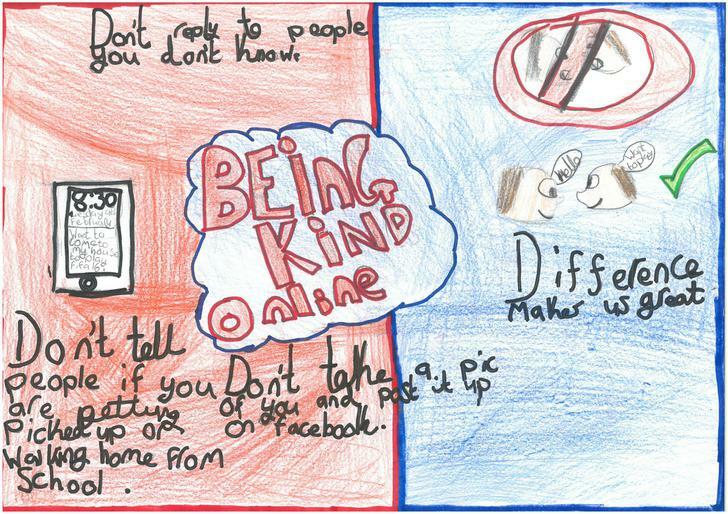 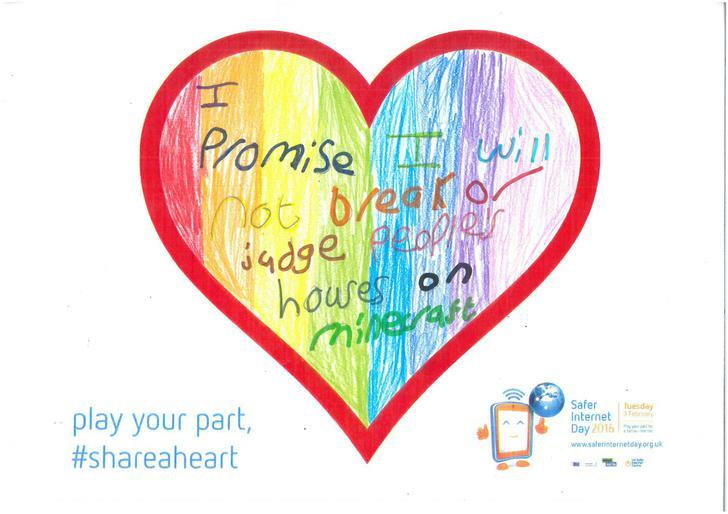 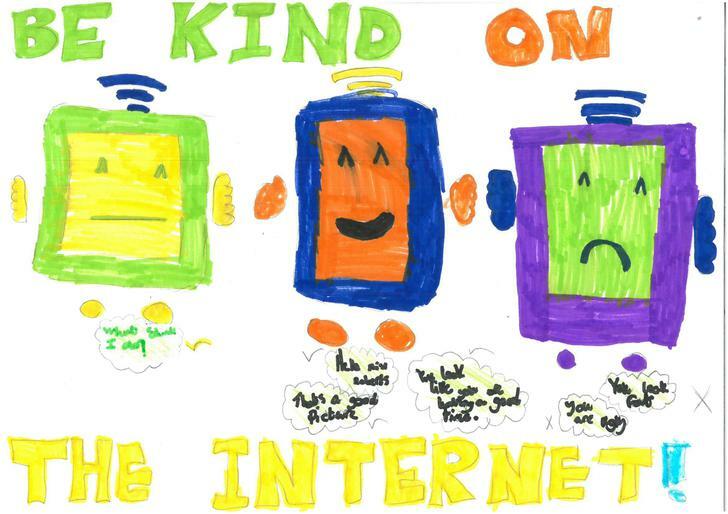 We have been very impressed with how enthusiastic all the children have been whilst we have been working on this topic. 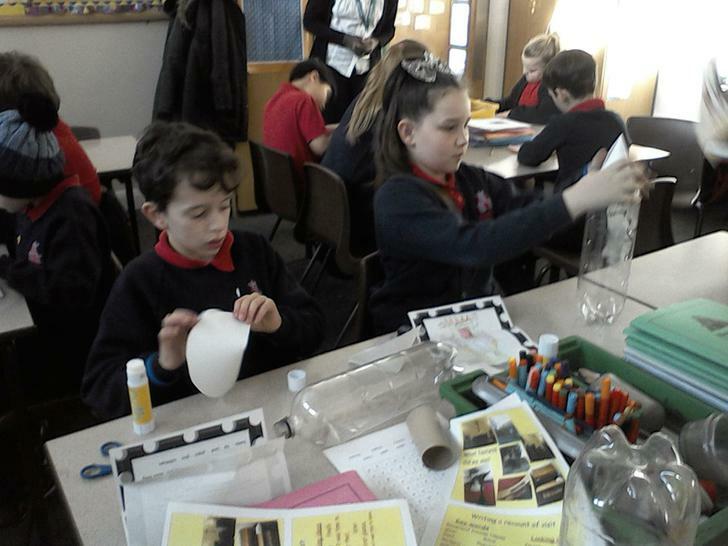 On Tuesday, the children visited St. Francis' Church. 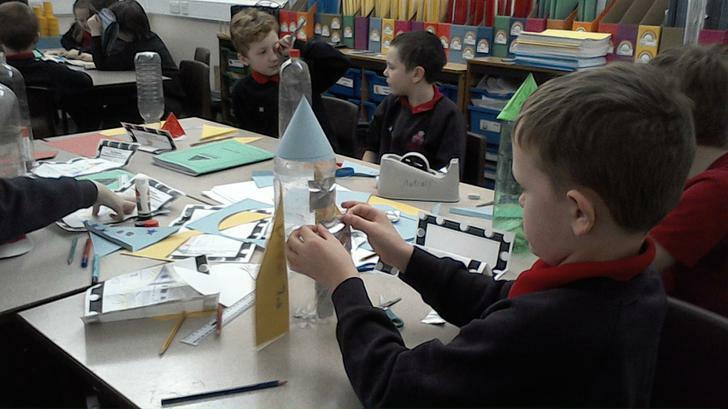 They had a fabulous time and really enjoyed finding out what goes on inside a church. 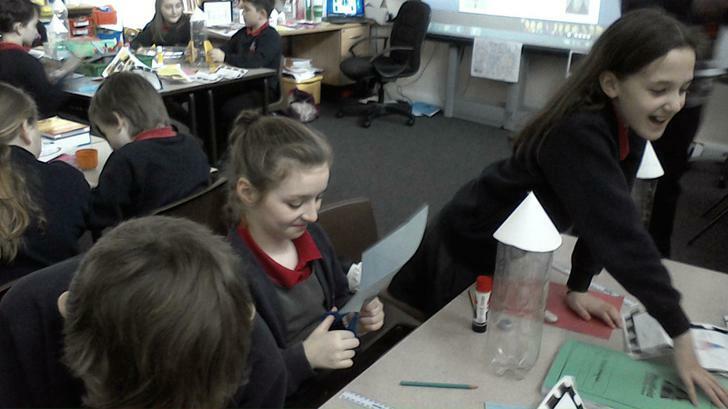 They met the vicar, Denise, who made them very welcome and showed them around. 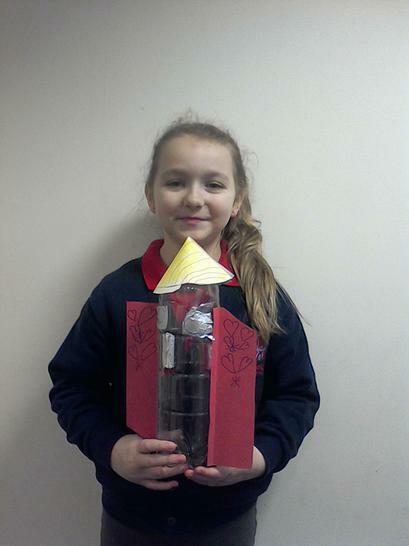 Our certificate winner this week was Breeze for coming onto school every day with a huge smile on her face; ready to work and willing to do her absolute best. 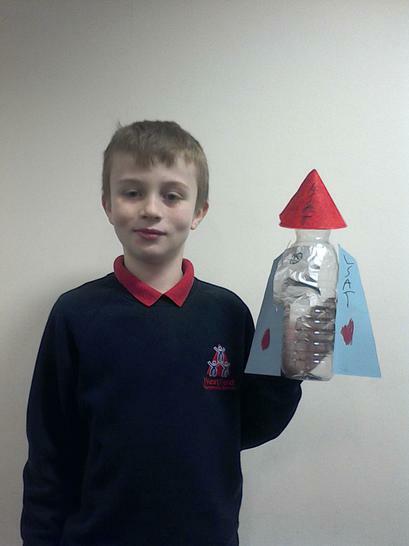 Well done Breeze! 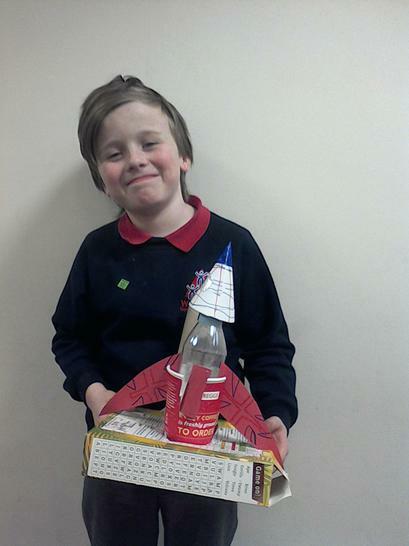 All that remains to say is to have a great half term. 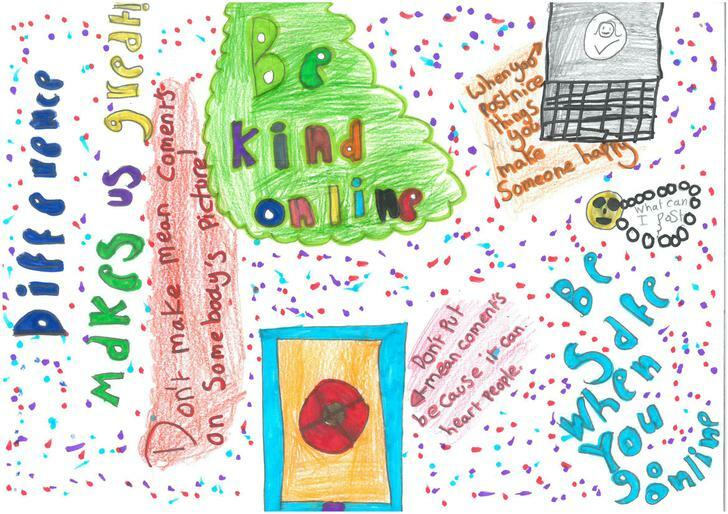 We hope you have a great Valentine's Day. 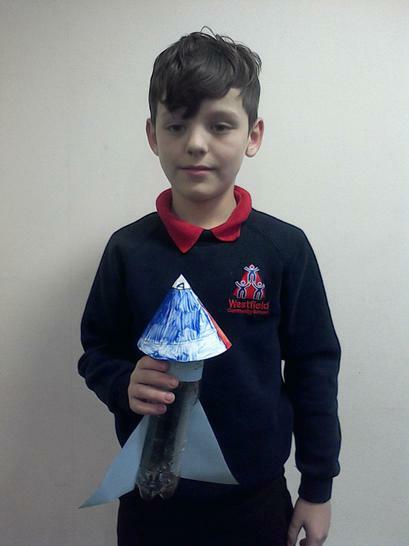 Fingers crossed we will have some pleasant weather. 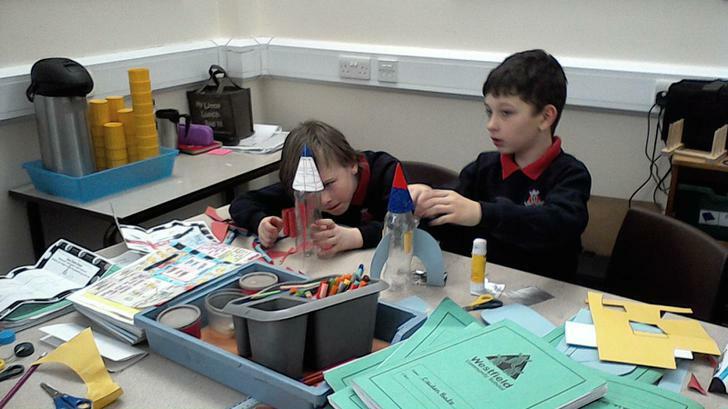 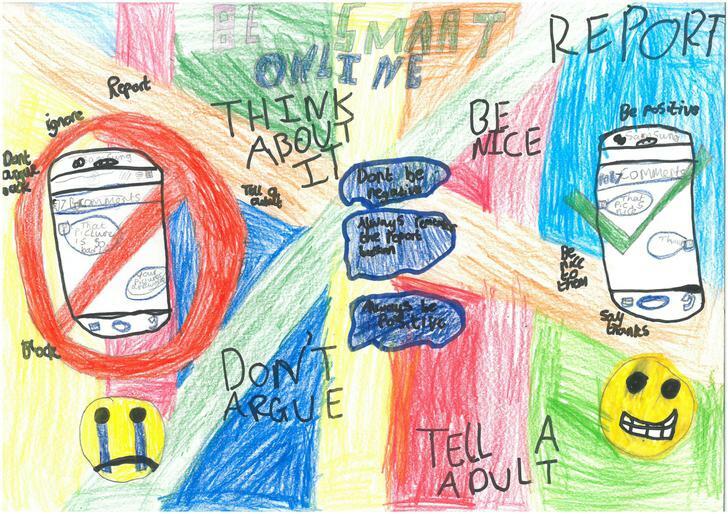 We look forward to seeing you back in school on MONDAY 22nd FEBRUARY.